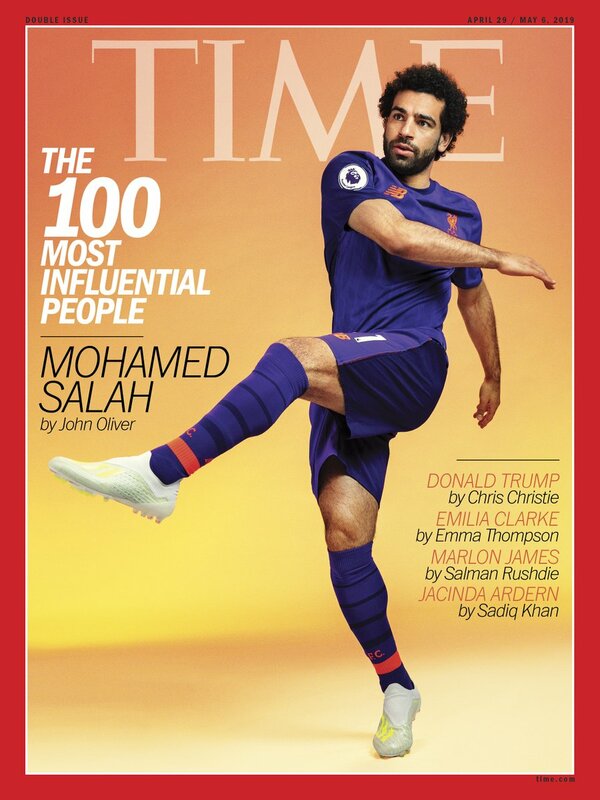 Liverpool star Mo Salah has been featured on the cover of the prestigious Time Magazine, which has named the Egyptian striker as one of the 100 most influential people. The only other footballer on the list is US women’s star Alex Morgan, while other sports persons on the list include LeBron James, Naomi Osaka, Tiger, Woods and Caster Semenya. 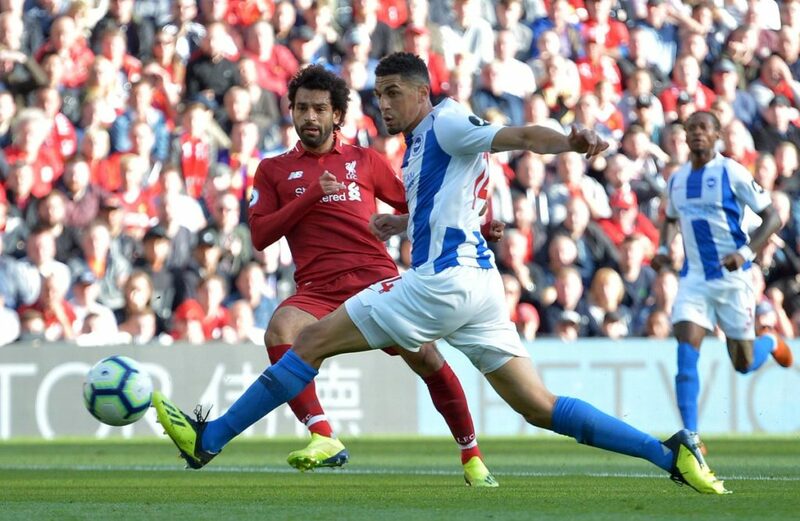 The news comes just days after the Egyptian scored a wonder goal to help Liverpool beat Chelsea in the Premier League- a key victory in the club’s quest to register their maiden Premier League title. This entry was posted in News on April 17, 2019 by lzozo. 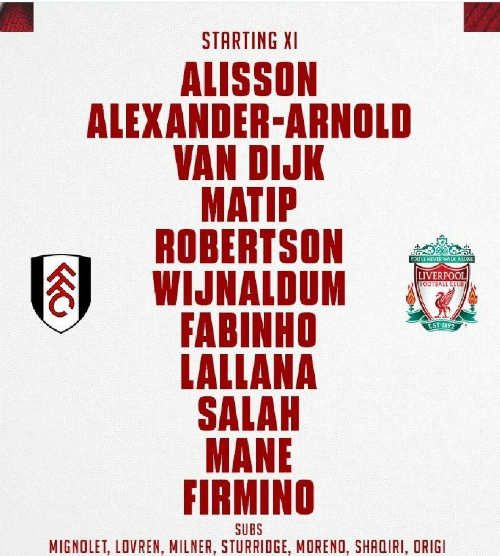 Who are Liverpool playing in the quarters? They’re playing FC Porto, whom they beat 5-0 in the Ro16 last season. Porto progressed to the last eight by eliminating Roma, who were LFC’s SF opponents last year. Who are Liverpool’s likely semifinal Champions League opponents? 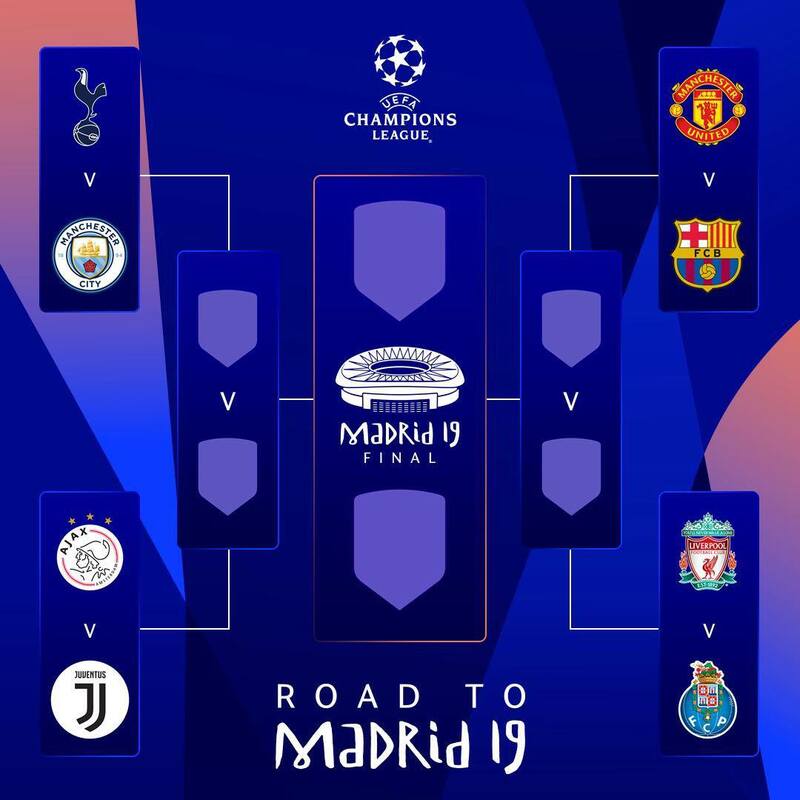 If they beat Porto, LFC will face the winners of the Manchester United/Barcelona quarterfinal. They would’ve played FCB in last season’s semi had the Catalans not suffered a stunning exit at hands of Roma. The other side of the draw has Ajax, Juve, Man City and Spurs. Juve, LFC, Man City and Barca are the only teams who also appeared in the last eight in the 2017/18 season. 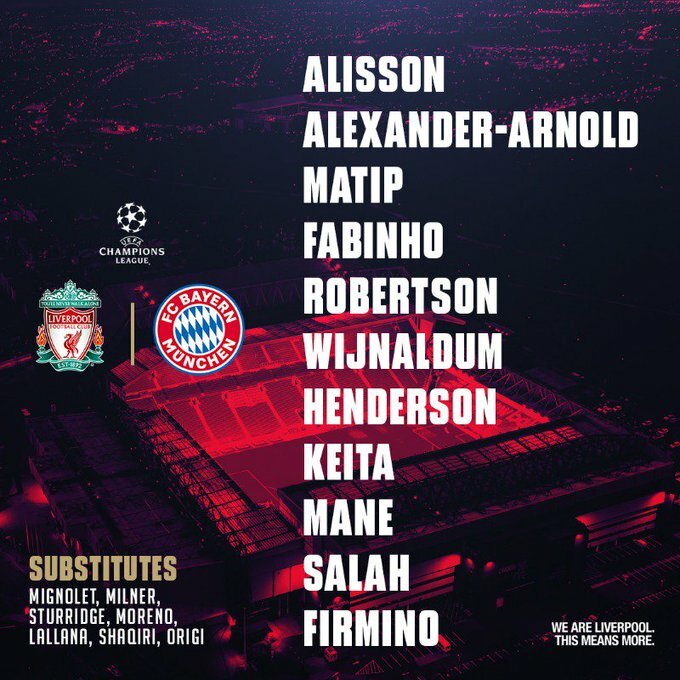 As good as Liverpool’s performance was on Wednesday night at the Allianz Arena, few would disagree that this was not the Bayern Munich of old. Three FCB players- Mats Hummels, Jerome Boateng and Thomas Muller had been told by national coach Jogi Low that they no longer had a future with Die Mannschaft. Muller was suspended for this game, Boateng only made it to the bench because Joshua Kimmich was suspended (which resulted in Rafinha being promoted to the starting XI), and Hummels was poor in comparison to his opposite number Virgil van Dijk, who also beat him to a corner to score the goal that effectively sealed Bayern’s fate. 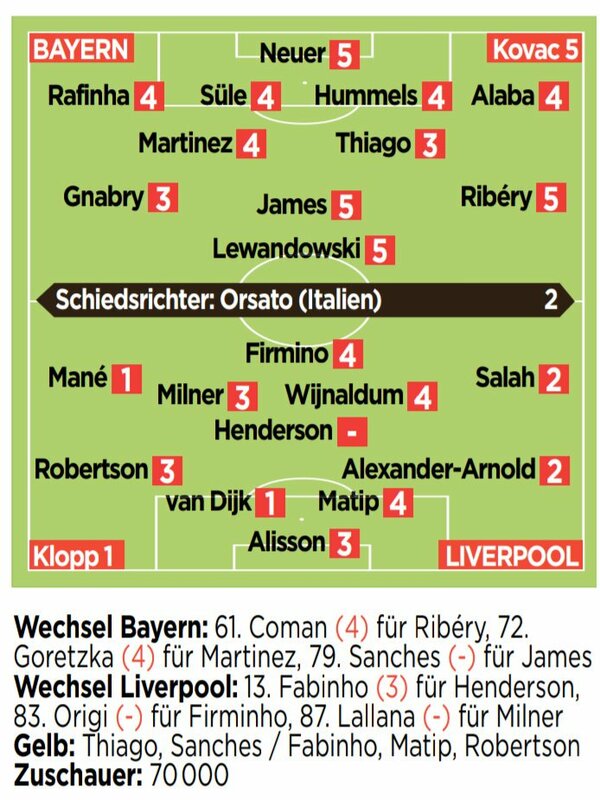 The German media operates on a 6-1 scale (6 being very bad and 1 being very good). 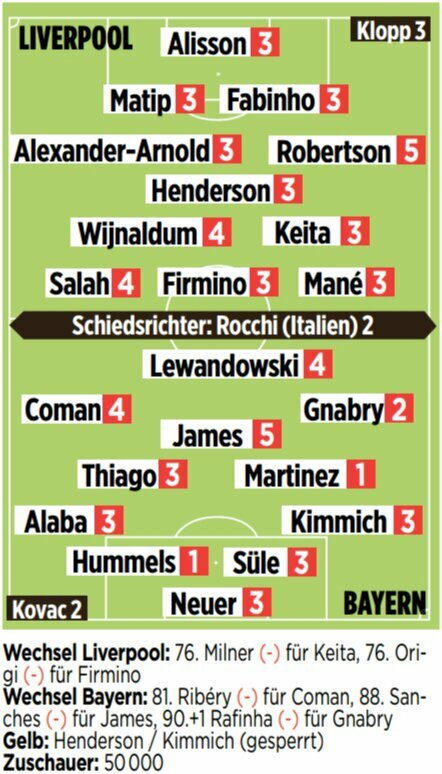 Gnabry and Thiago were the only players to get an “average” rating for this game- both picked up 3’s. Manuel Neuer is nowhere near his best after coming back from injury and that reflected in his 5 for the game. James and Lewandowski were expected to be crucial for Bayern, but neither really turned up on the evening. This entry was posted in News on March 15, 2019 by lzozo. Liverpool turned in one of their best away performances in the Champions League this season as they convincingly beat Bayern Munich in the second leg of their European knockout tie. After a 0-0 draw in the first leg, many pundits thought Bayern had the edge, especially as Jurgen Klopp’s men had suffered defeats away in Paris, Naples and Belgrade during the group stages. But Bayern seemed short on ideas, and Liverpool, thanks to the brilliance of Sadio Mane, sealed a famous 3-1 win at the Allianz Arena. The Senegalese opened the scoring with a beautiful goal on 26 minutes and fittingly enough, also scored the final one of the evening, beating Manuel Neuer with a header from point blank range. 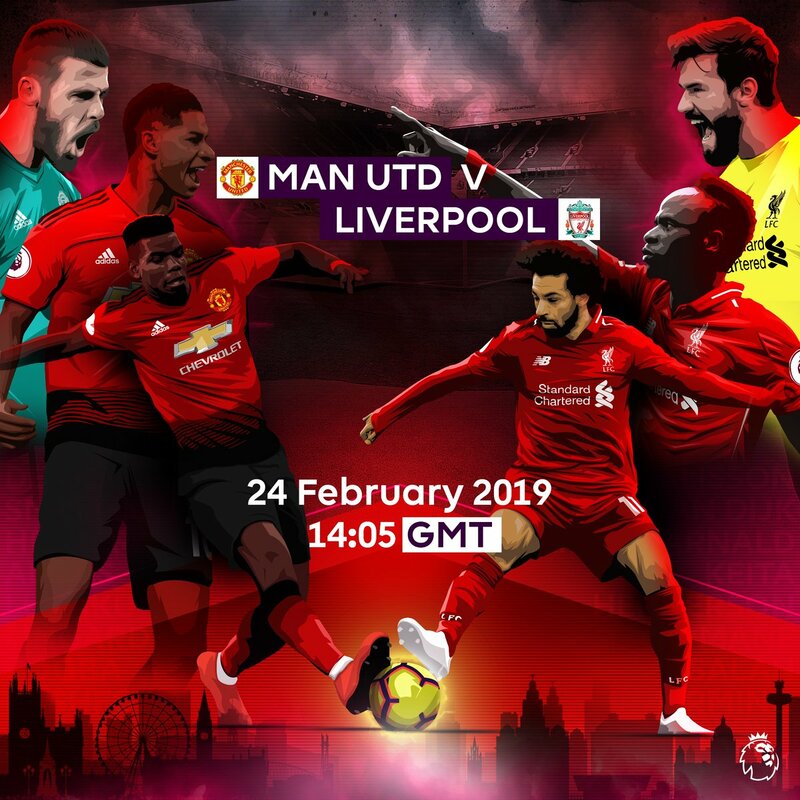 A game that could have a pivotal impact on the title race sees Ole Gunnar Solskjaer’s Manchester United square off against Jurgen Klopp’s Liverpool at Old Trafford on Sunday afternoon. The Reds have a better record under the referee for this game, but United will be doing local rivals City a great favour if they can take points off the Reds in this GW27 clash. Has predicted a 1-1 draw. Robbie Savage: Savage is another who has gone for the same scoreline as Merson- a 2-1 is his prediction as well. Michael Owen & Kevin Kilbane: Ex-Liverpool striker Owen and former Everton medio Kilbane have both tipped this to end in a draw, but one in which both teams will score. Bottom line: Few think Liverpool can win at Old Trafford this afternoon! Three points here would be a huge statement of intent from the Reds. This entry was posted in News on February 24, 2019 by lzozo. Jurgen Klopp’s quote after the game described pretty much summed up the Reds’ performance in the Serbian capital on Tuesday evening. When asked by a journalist whether he could “put a finger” on what had gone wrong, the German gaffer replied that he only had ten fingers! This entry was posted in News and tagged Red Star Belgrade on November 7, 2018 by lzozo. 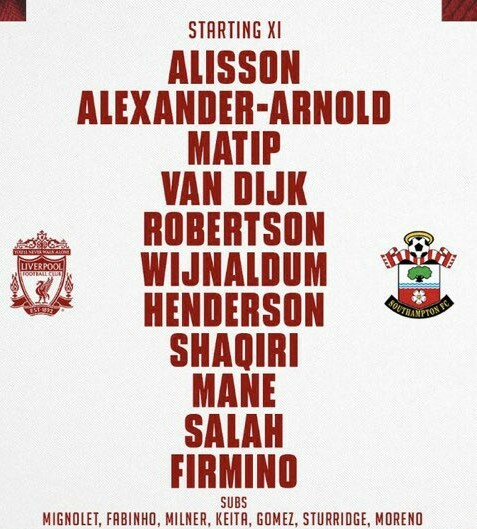 Xherdan Shaqiri has been left out of Liverpoool’s squad to travel to Belgrade for their Champions League clash against Red Star. 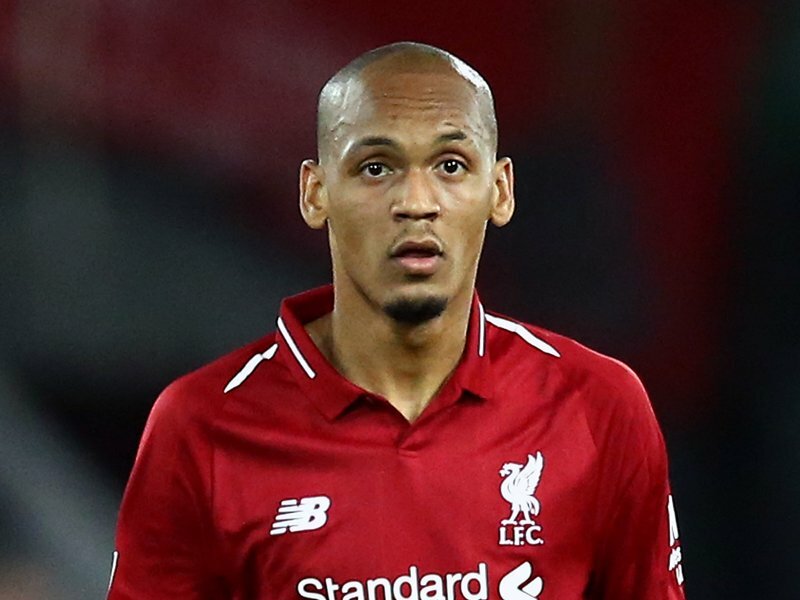 The versatile playmaker was not named in the 21 member team announced by the Reds, with Jurgen Klopp wary of a potentially harsh reception for the Swiss star, who has Kosovar-Albanian heritage, especially after his Double Eagle celebration at the World Cup earlier this summer in Russia. The Swiss came from behind to win 2-1 against the Serbs thanks to goals from Shaqiri and Arsenal’s Granit Xhaka. This entry was posted in News and tagged Red Star Belgrade on November 5, 2018 by lzozo. Stuart Attwell to referee Liverpool v Cardiff | LFC to win 4-1 going by these stats! Stuart Attwell has been appointed as referee for Liverpool’s clash against Cardiff this weekend. The Bluebirds registered a much needed 4-2 win over Fulham at home last weekend, aided by some truly dire defending from the Cottagers. It was the first win of the season for Neil Warnock’s promoted team. Attwell has been given the whistle for this one. He has refereed four Premier League games featuring Liverpool. Going by this 4-1 and 2-2 sequence, this weekend’s game is likely to end 4-1 in favour of Jurgen Klopp’s Reds! Another interesting stat- Cardiff have not won in their last four games (all in the Championship) under Attwell. Attwell’s assists for this LFC Cardiff clash will be Constantine Hatzidakis and Adrian Holmes, with Craig Pawson to serve as the fourth official at Anfield. This entry was posted in News and tagged Cardiff on October 26, 2018 by lzozo. How many LFC players were on international duty during the October break? This entry was posted in News on October 23, 2018 by lzozo. 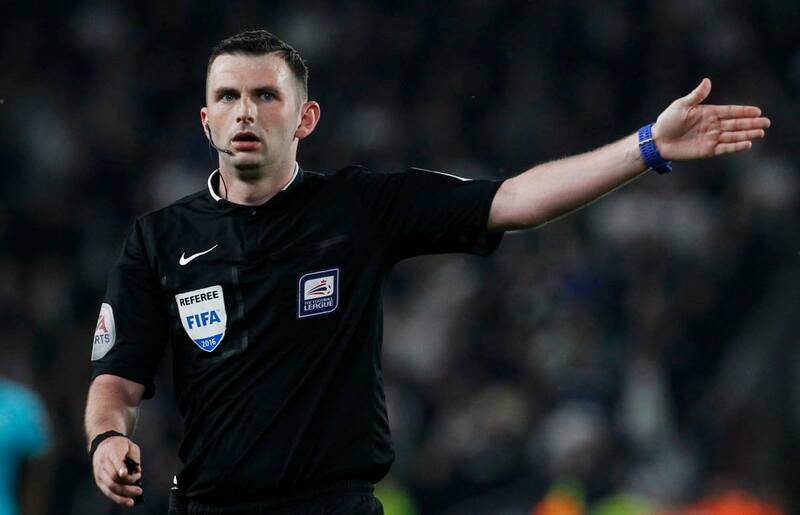 Michael Oliver has been appointed as referee for Liverpool’s first game after the October international break- an away trip to the John Smith’s Stadium to take on Huddersfield Town. The Reds have already played twice under Oliver this season in the league. Both were away fixtures- a 2-0 win at Selhurst Park against Crystal Palace in Week 2, and a 2-1 win at Wembley against Tottenham Hotspur in Week 5. Huddersfield, by comparison, have struggled in recent games under Oliver. He reffed their 0-0 stalemate at home against Cardiff in Week 3, a fixture in which he sent off Jonathan Hogg. In Town’s last three games with Oliver in the middle, they’ve failed to score a single goal. 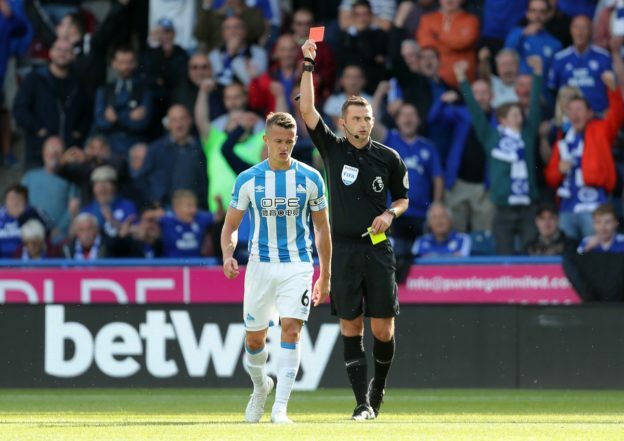 Will Michael Oliver again end up red carding a Huddersfield player? This entry was posted in News and tagged Huddersfield on October 16, 2018 by lzozo. Liverpool face Leicester at the King Power Stadium this weekend in MD 4, a tricky test for Jurgen Klopp’s table toppers. Despite losing to Manchester United on the opening day of the season, Claude Puel’s Leicester bounced back with wins over Wolves and Southampton- victories that one might say to be a tad lucky given how well their opponents played. Nevertheless, with six points from 3 games, Leicester are 7th in the table going into Round 4. This entry was posted in News and tagged Leicester City on August 31, 2018 by lzozo. After having been given a relatively easy draw last season (Sevilla, Spartak and Maribor), Liverpool have been placed in a virtual Group of Death for the 2018/19 Champions League group stages. The Reds have been drawn alongside PSG, Napoli and Red Star Belgrade in Group C.
Benfica’s win over PAOK last night pushed Liverpool to Pot 3- they would’ve been in Pot 2 and potentially got an easier draw if the Greek side had triumphed. Red Star, former European champions, are taking part in the group stages of the modern Champions League for the first time in their history. This entry was posted in News and tagged napoli, PSG, Red Star Belgrade on August 30, 2018 by lzozo. Brighton upset Manchester United last weekend and will travel to Anfield in Round 3 to take on in-form Liverpool. How will the Reds fare against their opponents from the South Coast this weekend? LFC Zone decided to check out what the pundits (messrs Lawro, Merson and Owen) had to say about this fixture. This entry was posted in News and tagged Brighton on August 24, 2018 by lzozo.